It looks like being last drinks at Paddington Bowling Club. The club finally closed its doors earlier this week, unable to continue operating profitably under a new licensing condition that banned serving alcohol on its greens. The new restriction meant the club could no longer run its lucrative staple of hens, bucks, Anzac Day, Christmas, big sporting events and corporate parties. 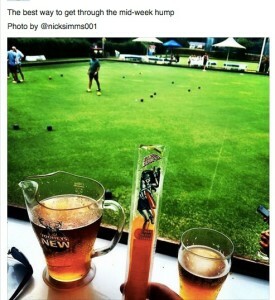 Its business model that depended on drinking along with barefoot bowls was broken. At least until voluntary administrators BRI Ferrier examine its accounts, the Club, which has operated for nearly sixty years, will stay shut. In a second dramatic development, the Club's landlord developer CSKS Holdings that had hoped to build a large private child care centre on two tennis courts adjacent to the greens, lost its Ministerial consent to develop the Crown land that it leased from the NSW government in 2011. Christian Sanchez is the owner of CSKS Holdings, which he took over from his father, real estate agent and developer Michael Sanchez. These events signal victory is in sight for Paddington residents' group Friends of Quarry Street who have campaigned hard to save the Club's land for open space. At one level this is a small local story but its also of broader significance to those interested in law enforcement, the exploitation of public land by private interests and corporate malpractice. It's a good starting point if you want to understand why it takes a huge effort by even relatively privileged communities in our society to hold power accountable. It also shows that groups can break through, especially with the backing of local councillors and independent politicians. For those who are new to this story, you can catch up on this long saga by reading some of my other stories. You can also read NSW Greens Senator Lee Rhiannon's speech in Federal Parliament which summarises the background to this story. As I previously reported, the Club received three pieces of bad news last last year. The NSW Office of Liquor Gaming and Racing (OLGR) applied to the Independent Liquor and Gaming Authority to remove the club's license; OLGR also charged some of the club's management and past directors with 40 criminal licensing charges; and licensing investigators lodged complaints about more than 300 breaches of the club's license. The Independent Liquor and Gaming Authority (ILGA) is yet to decide whether the license should be removed and the criminal charges will be heard in a Sydney local court next week. The club has gone into voluntary administration. It closes its doors permanently, it may simply hand back the license. You may have thought legal threats would be enough to quieten the club which had been the subject of serious complaints from residents living close by for a decade. But despite the legal action, the almighty din continued well into 2015. If you're thinking that this is just a case of over sensitive neighbours, you're wrong. When residents complained about 'noise' they mean serious noise - above permitted noise levels for many hours of the day. Noise loud enough to stop residents using their balconies in the summer. As one resident wrote, "noise becomes insufferable for those living close by...often 7 days a week with huge noise over the weekend, public holiday periods. Patrons often staying until 2 am." Some residents living above the greens were kept awake and unable to use their balconies for years. In March, Department of Trade and Investment CEO Mark Paterson ruled that the Club was being conducted in a way that disturbed the "good order" of the neighbourhood and no alcohol could be consumed outside the club itself. The restriction came into force during April. This was a huge blow to the Club that was planning its annual Anzac Day party, which in the centenary year was expected to be huge. Last year's party was big enough. Barbecues, 2UP, drinks and barefoot bowls attracted hundreds who by mid afternoon were queuing up the street to get into the club. They partied on for hours at the club which specialises in "corporate team building events with unique bowls butlers"
But instead of an even bigger party, the Club was deathly quiet on Anzac Day. Management posted a notice on its door that due to restrictions on its liquor licence, the club had closed for the big day. The alcohol ban only came after a long investigation by police and licensing officials that included undercover noise surveillance from balconies above the greens. At one stage, the Club was instructed to hire security guards who could control drunken behaviour when noise monitors were triggered. But the guards failed to respond to monitors, perhaps because it was so noisy. The club must have spent a large sum on lawyers as it desperately fought off the ban with appeals for a reprieve and warnings that it would have to lay off staff. These were rejected by the ILGA and Paterson who upheld the ban. Last Tuesday, the Club posted a notice on its Facebook page that it would be closed while administrators reviewed its financial position. Even in ordinary circumstances, the closure of the club would have been grim news for its landlord, CSKS Holdings. While it was forced to wait for its development application on part of the land to be approved, Christian Sanchez received more than double the $50,000 rent he paid the Crown annually from the Club and the owner of a tennis court business. Last year, CSKS Holdings development application was put on hold by the NSW Land and Environment Court after Trade and Investment CEO Mark Paterson referred the results of an independent lawyers' review of transactions between the Crown Lands department, the Club and CSKS Holdings to the NSW Independent Commission against Corruption so that it could decide if an Inquiry was needed. In May this year, ICAC decided not to investigate. On June 9, Paterson wrote to Woollahra Council informing it that the original required development consent for the child care centre application had been withdrawn. The report by lawyers Holding Redlich will be published soon. It will be intriguing to see what further insights into the land dealings are contained in the report. We do know the report was strong enough for Paterson to inform Woollahra Council last year that the development consent would not have been given in the first place if the contents of the report were known. The author is aware that external lobbyists and agents of the Sanchez family and the Club continually pressured Crown land public servants to transfer the land from the Club to the private company. Clause 85c of the Crown lease to CSKS Holdings provides that “the holder agrees to comply with the provisions of the Liquor Act 2007…any breach by the Holder or conviction under the Liquor Act 2007 shall render the lease liable to forfeiture.” CSKS Holdings is not the licensee but the landlord of the licensee. But other provisions of the lease provide that it must not allow an ongoing nuisance on the site that was set aside as public land for recreation purposes. On several occasions over the last year, the Friends of Quarry Street have requested the Minister responsible for Crown lands to enforce the terms of the CSKS lease. It seems likely that action will be taken soon. It may already by underway. 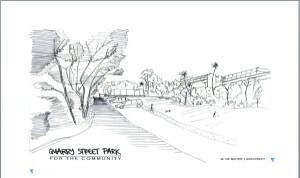 This would leave the site which sits at the top of Trumper Park without a tenant. The question is not why the Paddington Club has finally shut it doors. Rather, we need to ask why was Paddington Bowling Club able to operate so freely for so many years despite hundreds of complaints to local police and millions of dollars worth of public resources being spent on dealing with its poor corporate governance. A 2008 report found that relatives of Michael Sanchez had been paid large consultancy fees by the Club. This continued after the Inquiry. Why did ex-Labor Minister for Lands Tony Kelly, who admitted to acting corruptly in another land deal, agree to transfer not only the lease but an additional piece of Crown land to the club, thus increasing its development potential, after that Inquiry? Why did he then agree that the land could be transferred to Sanchez's company CSKS Holdings when a 2008 Commission of Inquiry had already found anomalies in the Sanchez' family dealings with the Club? Hopefully the answer to some of these questions will emerge when the Holding Redlich report is published. Not only has the club continually failed to comply with licensing laws, but an investigation by the author into its corporate records has shown that for a decade it was allowed to get away with postponing annual meetings, failing to file corporate accounts or provide auditors with sufficient documentation to enable them to approve directors' claims about the state of the club's affairs. For more, watch for my next story in the Public Land is Our Land series.